Gauk – (earlypea) Description from HSL catalogue: This variety has been grown on the Island of Gotland, Sweden (Gauk being a farm) for more than 100 years. Pale pink and white flowers are followed by large green and carmine striped pods. Said to be adapted to harsh weather conditions and early to flower and pod. Ice/Crystal Wax – (earlypea) Description from HSL Catalogue: Dating back to at least 1882, this Dutch-bred variety was used by the English as a forcing bean in hothouses (William Woys Weaver, 1997). Produces compact plants with white flowers followed by green pods that lighten with age to almost a silver-white with a mauve tinge. With a little imagination these give the impression of icicles. Good flavour and texture when cooked after freezing. Also dries well for use as a pulse. Yin Yang – Productive bushes producing tasty green beans when young or leave for yummy shelly/dried beans. 1066 says these she “got in a swap from A4A. I enjoyed eating it as a shelled bean, quite meaty in texture. 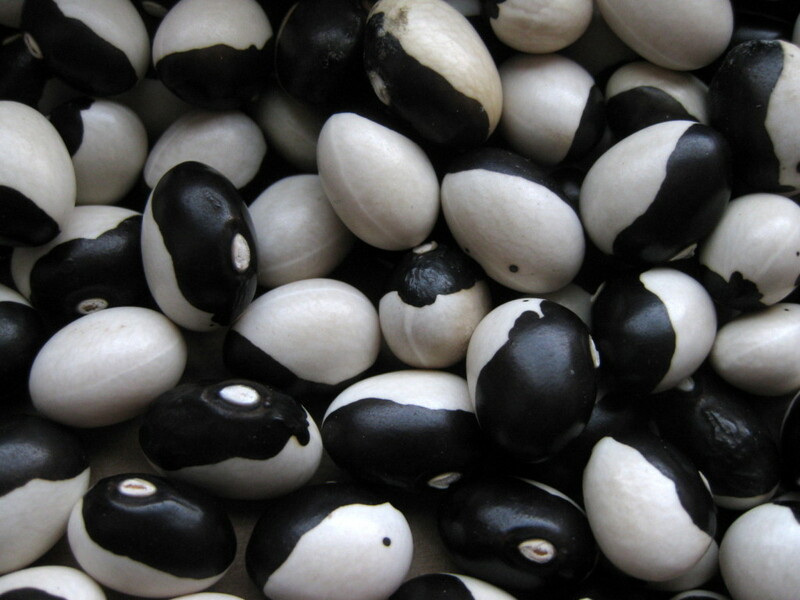 Also known as Orca Bean” (1066) The dried beans have a striking half black and half white pattern, a few black splodges. 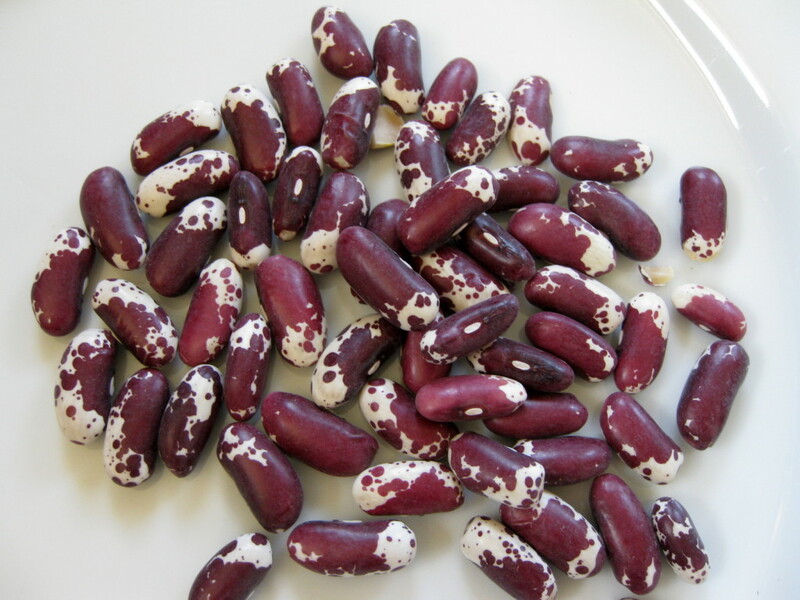 Greek Fasolia Gigandes – These beans produce best in a good season and are great picked as a fresh shelly bean, although they are mainly used for a dry bean having large white kidney shaped beans. They are a tall climbing bean and are good producers of flat green pods, about 13-18cms, each one contains 3-5 large beans. These can also be used as a French bean if picked young, otherwise grow on for the delicious large plump pods bursting with fat seeds. 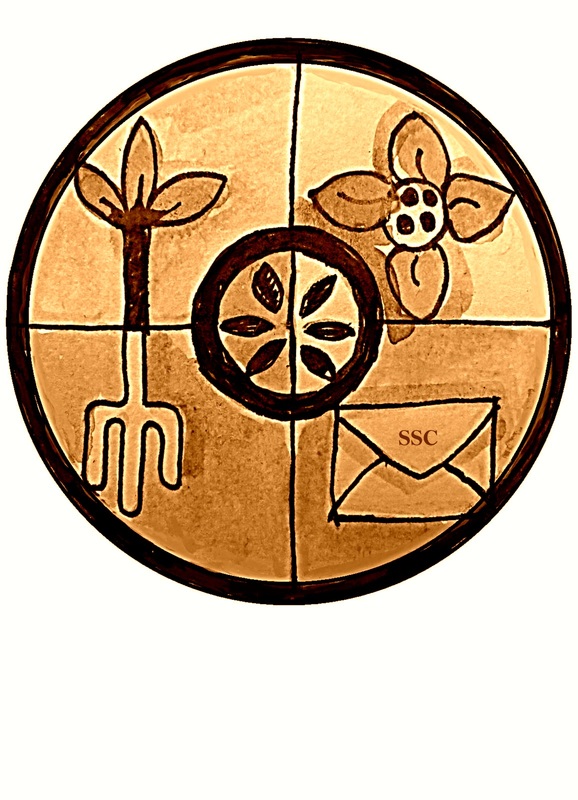 Ruud reports he obtained the original seeds from a Greek man when he was on holiday in Greece and the seeds for the Circle were grown in The Netherlands from these original seeds. 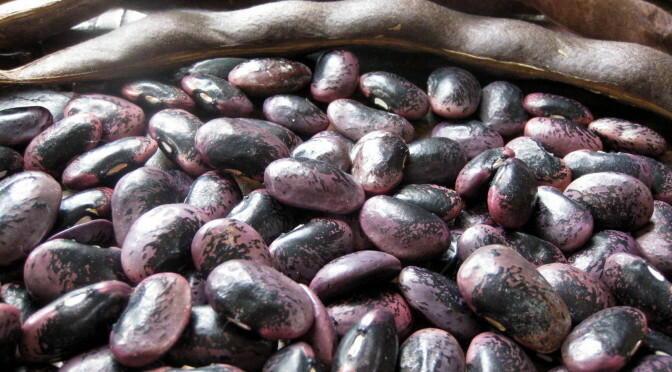 Polish Purple Stringless – Lottiedolly provided us with seeds for this bean, she also sent this Information from HSL Website; “Thought to be of Polish origin, this bean was passed to a Caroline Kenney, a friend of our donor, HSL volunteer Rob Croft, who passed some on to us. Grown for more than 40 years on the allotments in Broughton Astley, Leicestershire. It produces tall plants (2m+) with purple flowers followed by purple and green mottled, stringless pods with a great flavour. Seed Guardian Della Cannings says that they are a “superb performer. From a small number of seeds we had a huge crop” (lottiedolly). 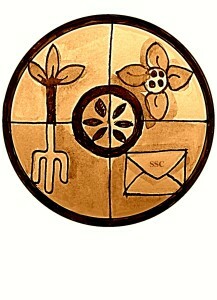 Edit; link removed as web page is no longer available from Heritage Seed Library. Ruud’s Mystery Bean (Ruud) – This been is indeed a mystery! Probably a cross between a purple and a green pole bean (climbing bean). Dual use – picked young the beans are great to eat as a green beans (snap beans) and when the pods are older it makes a very good shelling bean. The mature beans look variable too, some look more like large French beans, others like runner beans. 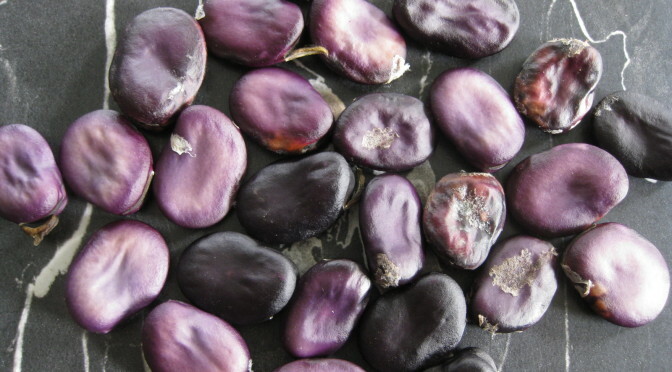 Sweet Australian Purple – (Ruud) This is a very large, round, purple podded French Bean. 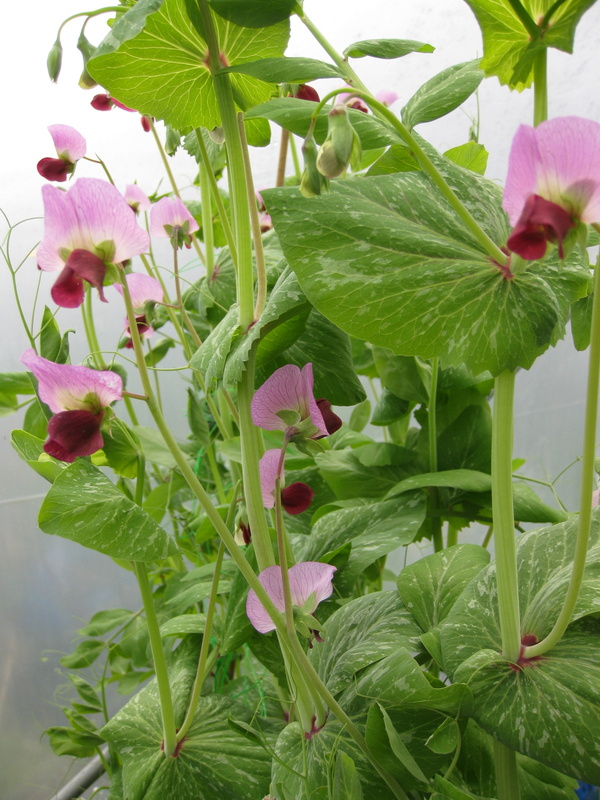 Crops well and stays stringless even when the pods are older, although it is recommended to pick them younger. 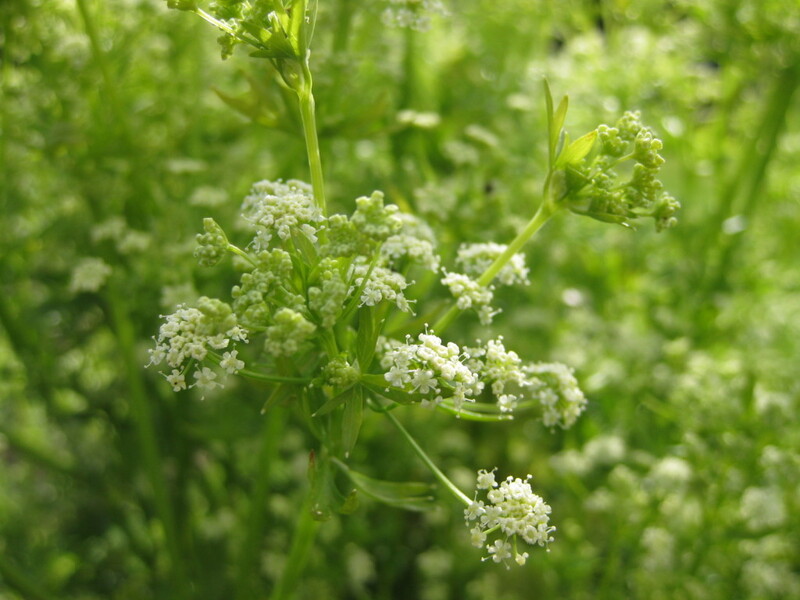 Cilician Parsley – Again a super description from Galina; “This is a mediaeval parsley variety from Cilicia, Armenia, now Turkey. I have called it flat leaf parsley, but the leaves are actually a unique maidenhair fern shape. Absolutely winter hardy and easy to grow. I sow seeds in warmth early in the year, about the same growing conditions as sowing tomato seeds, and they come up quite fast. Later in the year, they sprout very readily indoors or in the greenhouse before transplanting into the garden. 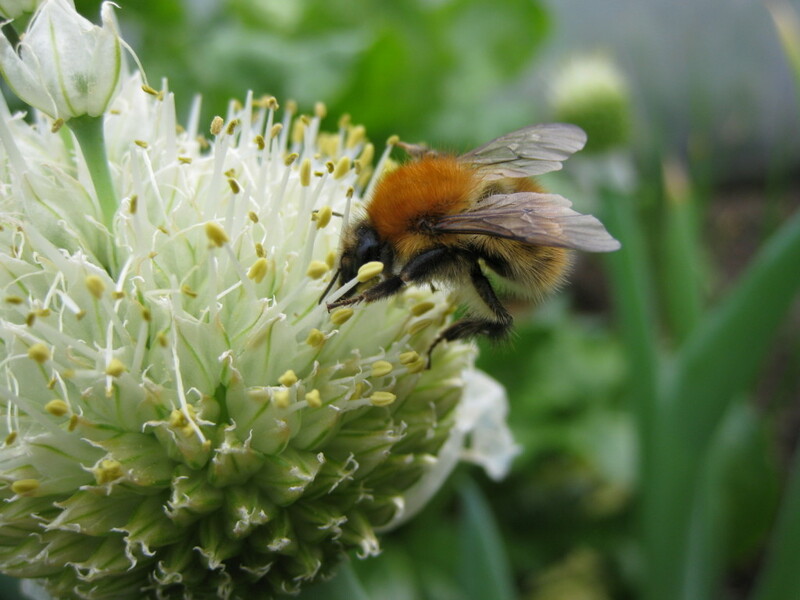 Shimonita Bunching Onions – I found these good doers, they really do end up getting quite large and looking a little more like a leek than spring onion. Very tasty sliced in salads and sandwiches, great in stir-fries too. Really thick stems and lovely onion taste. Bees love the beautiful flowers too. Tender and True – Reported to be an excellent variety, making lovely long roots. Great for gardeners as they have a good fine taste, smooth skins and have a good resistance to canker. But this is also one that has been used for exhibition. Salmon Flowered – A stunning combination of salmon pink and white flowers, held in a crown like display at the top of 4 foot vines. Simply beautiful to see and the flowers are followed by a crop of tasty peas. Queensland Blue – These make big plants and they are strong growing big vines. Here they set well here, producing a fair to good crop of large fruits. 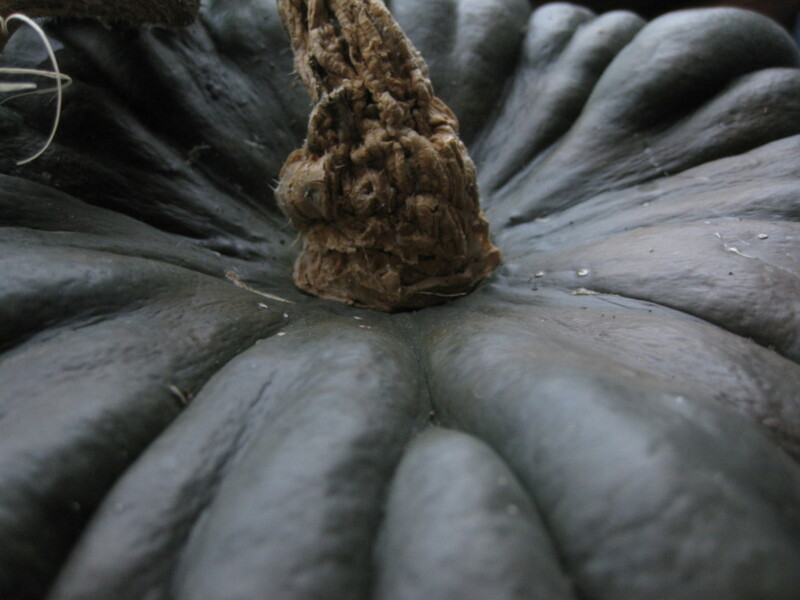 A very handsome looking squash and they taste delicious, particularly good roasted with a dash of garlic. They are a fair size so lots of meals per fruit! Red Orach – “Beautiful plant, with foliage colours ranging from pinkish-red, through brilliant ruby to a moderately deep purple. Young leaves add greatly to colour interest in salads, and its taste is fresh and mild if picked young. Its blooms are not what one would call showy, but rather are interesting. The individual plants can get quite large as well, up to about three or four feet tall and wide, but they vary greatly in habit with some being much more spindly and some being squat and bushy. Blue (OSU) – Bred at Oregon State University and not officially released. A cordon variety with regular leaves which notably can take on a blue-black colour from strong sunlight. Fruits ripen to red but where they have been in sunlight the skin is coloured almost black. Fablonelistnyj – A very tasty yellow, flat cherry (Markfield Rover) Description from HSL catalogue. “Indeterminate, Cordon. Donated by Paul Parker of Leicester University, who noted it as being a “very sweet small tomato”. Guardian Stella Jackson thought them “a first rate trouble-free tomato. Flavour is excellent, very sweet. Does not seem to affect arthritis (as some red varieties do)”. Dianne Bailey comments “You will never get bored with this yellow variety, it cooks well, but you won’t be able to resist its sweet flavour long enough to get it into the frying pan” Guardian Helen Homewood adds, “a must in any salad bowl and once picked will last in an eatable condition for several weeks”. Silach – This variety originates from Russia. 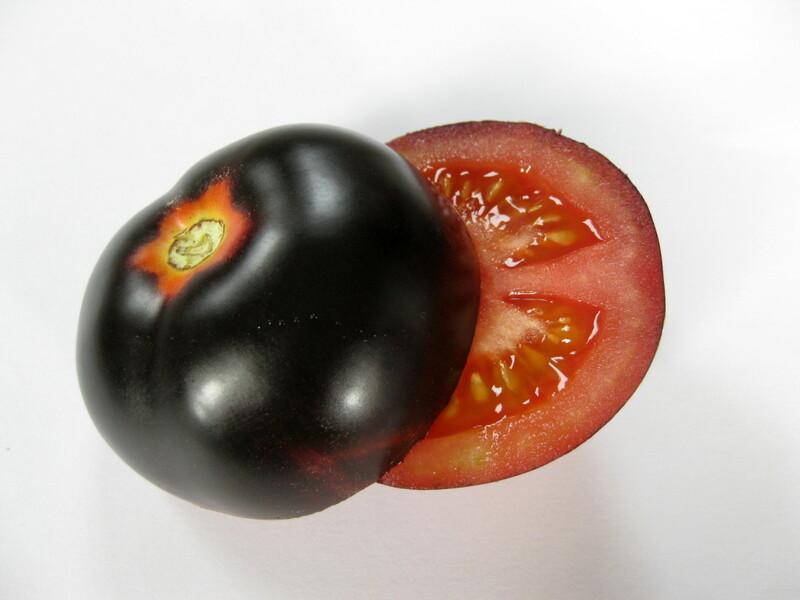 A red, very early, determinate (bush) tomato. Shared by Ruud. 100 Heirloom Tomatoes for the American Garden by Carolyn Male.